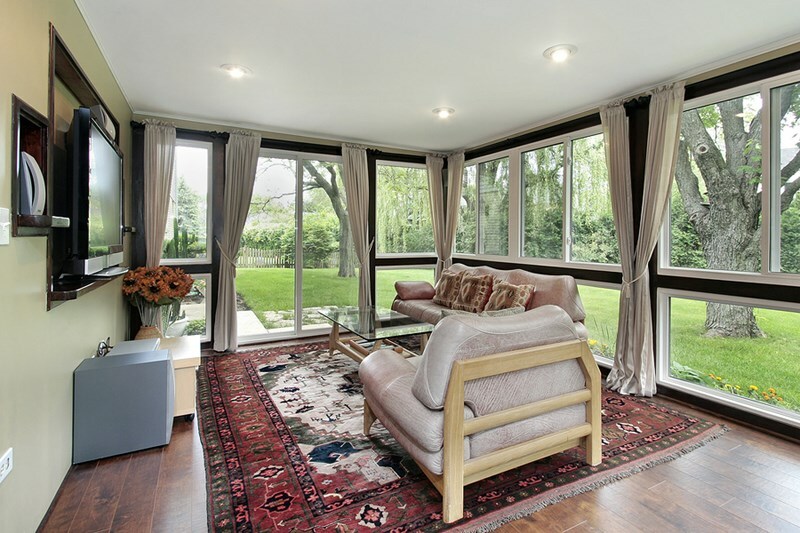 Porters Cleaning>>Blog>>What's the Best Flooring for Your Unheated Sunroom? You may be considering adding a sunroom to your house, to take advantage of the warm weather in spring, summer, and fall in NJ. Maybe you already have a sunroom. Whichever it is, one of the key decisions you’ll need to make is on the best flooring for an unheated sunroom. There are several factors you need to consider, including the range of temperatures to which flooring will be subjected. In this article, we’ll outline the main advantages and disadvantages of several different types of flooring you may be considering for your unheated sunroom here in NJ. Sunrooms get hot with the good and bad of wildly varying weather conditions. They’ll get hot in the summer, and very cold in the winter. The flooring you choose depends upon the extremes in the elements. But it also depends upon the traffic your summer house will receive. Kids (and pesky husbands) will walk through with muddy boots. If you have a pet and let it into the yard several times each day, those paw prints can take their toll. By considering these factors, you’ll be able to weigh up the pros and cons of each type of flooring. Carpet will provide a good cushion underfoot. In the winter it will retain some warmth, and in the summer it won’t become red hot. On the downside, those muddy boots and pet paws are likely to take their toll. As will the sun. Carpets in sunrooms can become stained and discolored very quickly. You’ll certainly need to know how to get rid of your carpet’s worst stains. And you’ll also need to make sure your carpet stays dry – otherwise you could find mold lurking beneath your carpet. Hardwood flooring is aesthetically amazing in a sunroom. The light bounces off, continually changing tone and depth. It’s easier to keep clean, and you can use a rug in the winter for warmth underfoot. You will have to be careful of moisture, as well as fading caused by bright and persistent sunlight. For greater durability, Mannington’s engineered hardwood floors are a good solution. And, with a variety of color and style choices, you can select a lighter tone that will stay looking better for longer in the sun. Laminate flooring is a good substitute for a hardwood floor. It’s a cheaper option and comes in a wide variety of styles, including wood, stone, and tile. It’s also easier to install and cleans easily. Among the disadvantages, it can fade in the sun. A UV protected laminate will help to protect from this. Like laminate, linoleum is easy to install. It’s also a cost-effective solution, easy to clean, and durable. However, it fades in bright, consistent sunlight, and so you should buy linoleum that is UV protected. Tile flooring can be a great option in unheated sunrooms. It’s hardwearing, and resistant to moisture. However, they are difficult to lay and can become hot in the summer – you may need rugs underfoot throughout the year. When compared to other flooring options, while they are easy to clean they can be more expensive as a flooring option in a sunroom. Hopefully, this rundown of sunroom flooring options will help you to choose the best floor for yours. There is plenty of choice available – remember, your decision will need to take into consideration footfall, weather, use, and pets, as well as style and how hard you wish to work keeping it clean. For help making your choice, don’t hesitate to contact Porter's. We’ll bring our expertise and experience to the table.